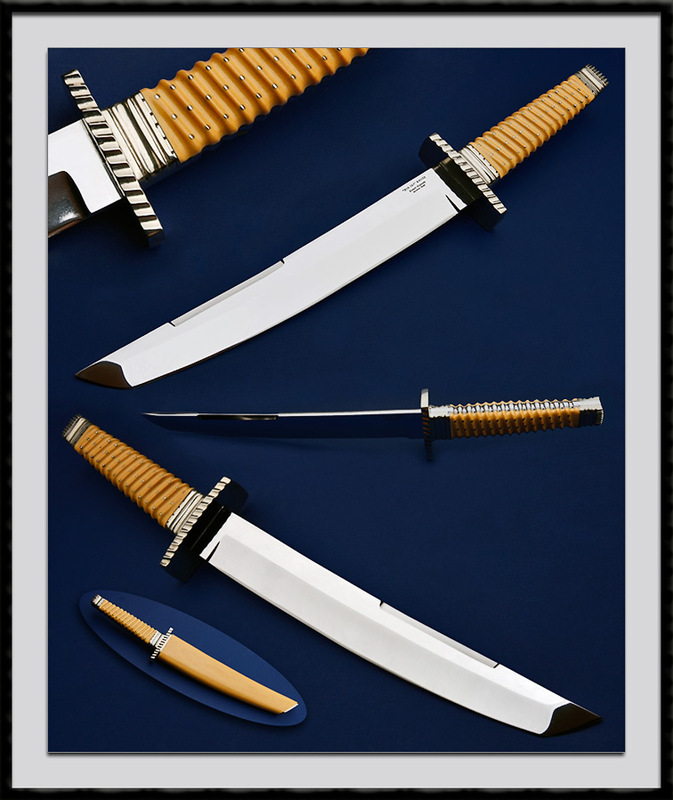 Bob Sky crafted this Presentation Tanto, Hollow ground ATS-34 Blade steel, BL = 10", OAL = 16", Full Encased tang, SS fittings, Fluted Guard - Ferrule - Pommel, Fluted and Pinned antique Ivory Micarta scales. Comes with matching Micarta Scabbard with SS appointments. Condition is near Mint.